It all starts on the inside! Then you set aside time to tidy everything up and you feel good all over. But in a little while…you look around and Oh no!!! it’s a mess again. Sound familiar? This is common practice for me. You know why it doesn’t work? Because it’s trying to work from the outside in. This never produces a lasting solution! It has to be the other way round. You must work from the inside out. 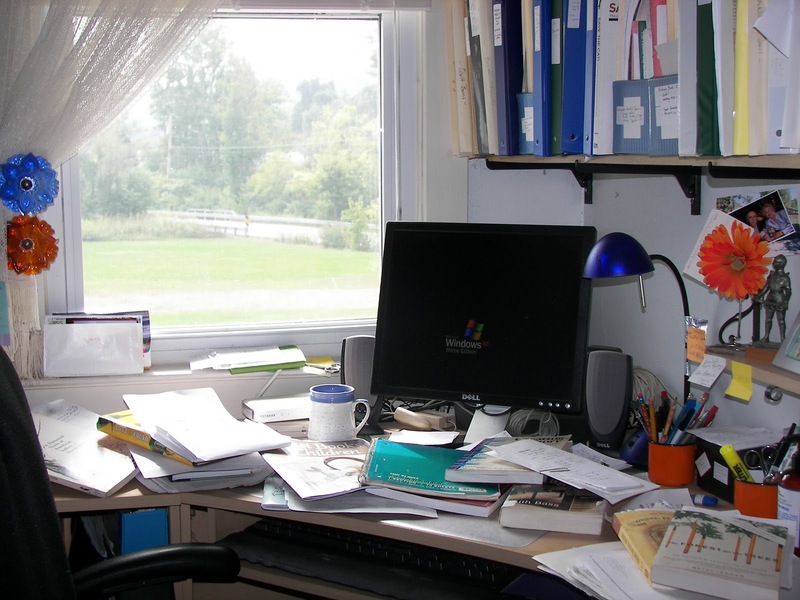 Messy desk? See what’s going on inside yourself. Once you find peace and order within yourself…it will begin to manifest on the outside. This rule applies to everything – clutter, weight loss…and making money! That is why I love this program…because it works on your inside and your mindset as well as the outside. Can’t fail with this one! It’s a winner! This entry was posted in Uncategorized on January 31, 2014 by The Woman Hood. Reblogged this on Art of Concentration. A Self-Help Blog Designed to Help You Focus on You..